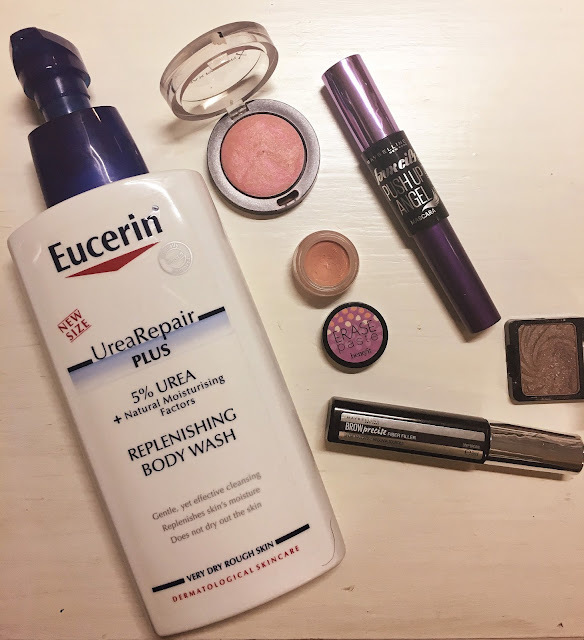 This month's favourites are oddly enough centred around makeup. I'm still using and loving my skincare items from the previous months, so I'm not including them again. I read about this body wash on numerous blog posts and when I heard about the benefits, I knew that it would do the trick. My skin gets incredibly dry in winter (especially since I'm not too keen on applying body lotion in winter, oops) and my husband's skin is even worse. And he is even worse at applying body lotion... This body wash is quite pricey at R180, but the bottle is a nice and big 400 ml. It comes in a pump bottle so very handy to use in the shower. The body wash is colourless and odourless and contains 5% urea which is incredibly good at moisturising. It's aimed at very dry and rough skin and it replenishes the skin's moisture. The condition of our skins have improved a lot and I can highly recommend it for dry winter months. I recently spoke about it here. 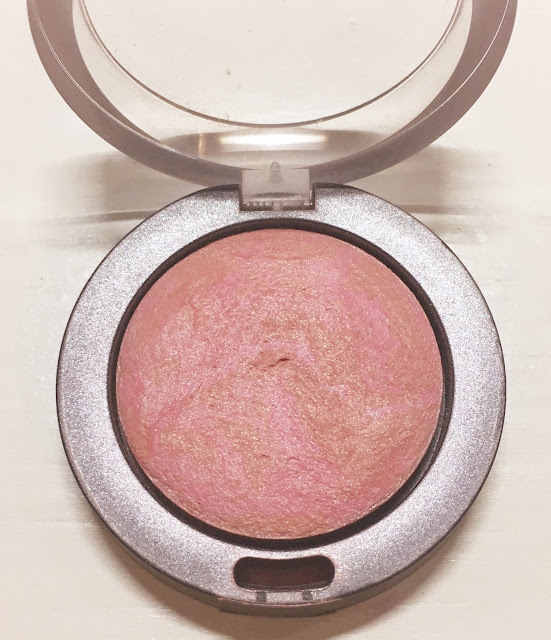 Max Factor Creme Puff Blush in "05 Lovely Pink"
I've had this shimmery, marbled beauty for a while but this past month it's been my go-to for a healthy, natural flush on my cheeks. It's a light pink with flecks of bronze and shimmer running through it. 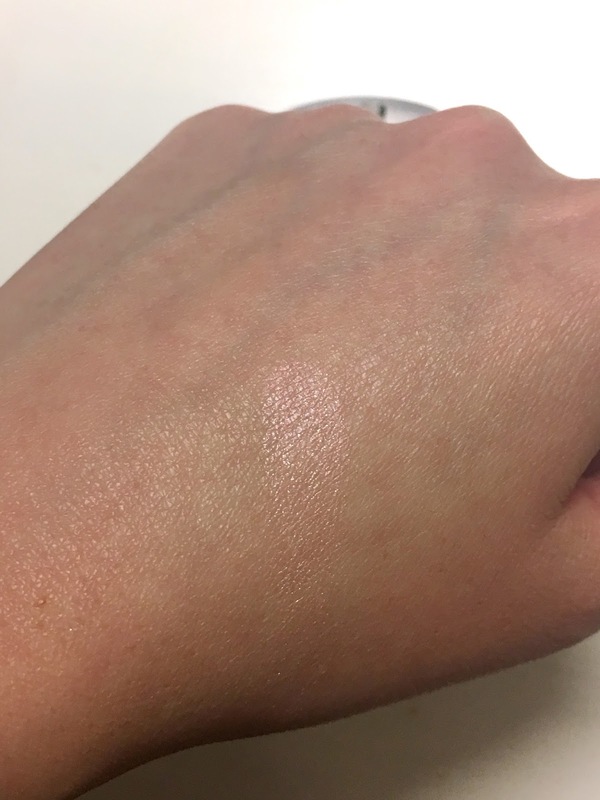 The blush is quite fine but not powdery or chalky. All in all a very nice blush for everyday use. Wet N Wild eyeshadow in "Nutty"
This eyeshadow single is so cute and small, perfect for popping in your handbag or travel makeup bag. It's a beautiful taupe-y brown, although it comes out more bronze and gold in photos. It has an almost metallic finish but is perfectly suited for day and night. 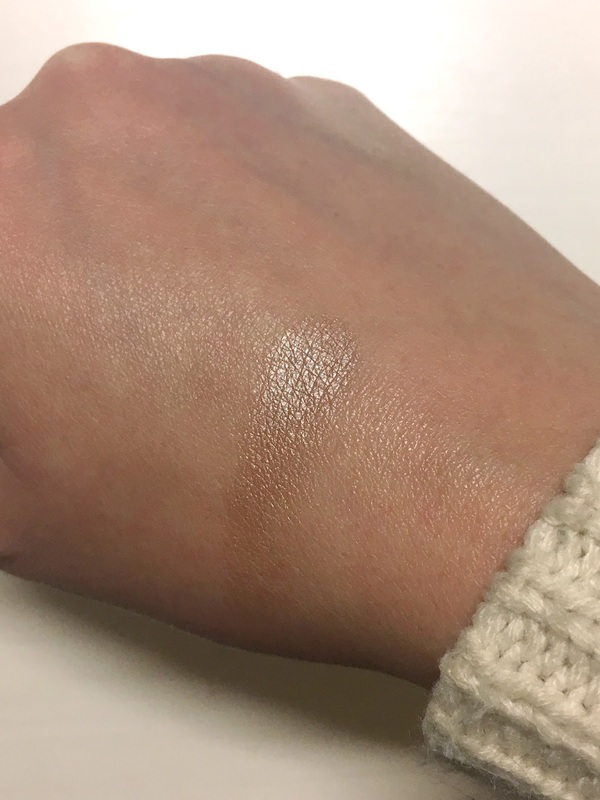 I like to use it as an all-over shade across my eyelids and then just blend out the edges. 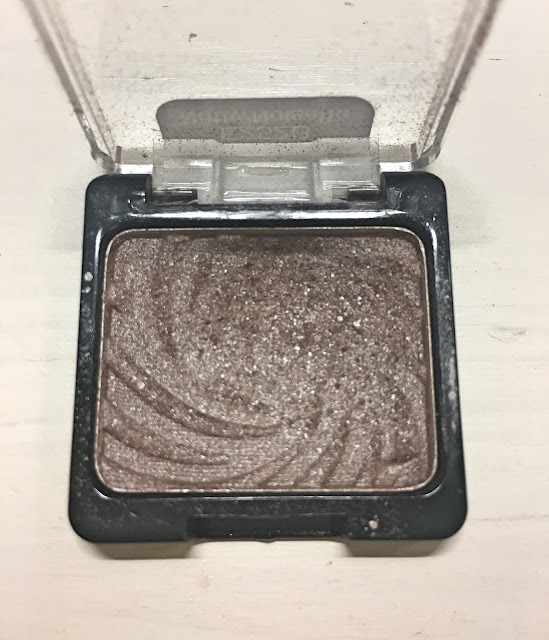 The texture is smooth and buttery, exactly what we've come to love from Wet N Wild. I've been using this as my under-eye corrector for the past month. I have it in the shade "2 Medium" which is a salmon-coloured cream. 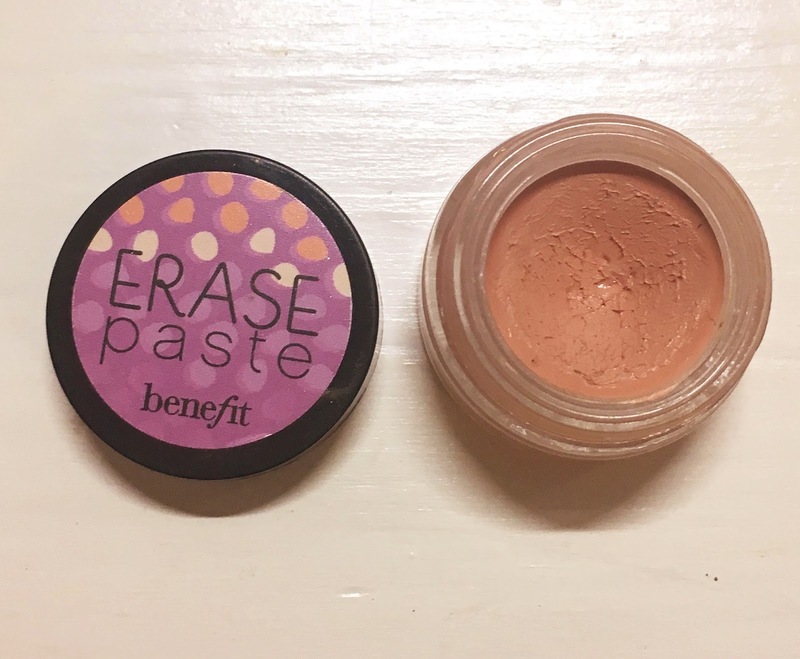 It's very creamy and I find it blends easier than my Bobbi Brown Corrector. I dot it in the inner corners of my eyes and blend it downwards so that only the bluest of areas are covered. I then follow it up with my normal concealer. Maybelline BrowPrecise Fiber Filler in "Deep Brown"
I've been using the essence brow mascara for months and when I heard Camilla from All Dolled Up rave about this product from Maybelline, I had to give it a try. The applicator is quite weird: it's shaped like a spade and there's tiny spikes only on one side. When I comb it through my brows I find that it distributes a fair amount of product and that everything looks nice and polished. I didn't think it would work, but I am quite impressed by this weird little applicator. 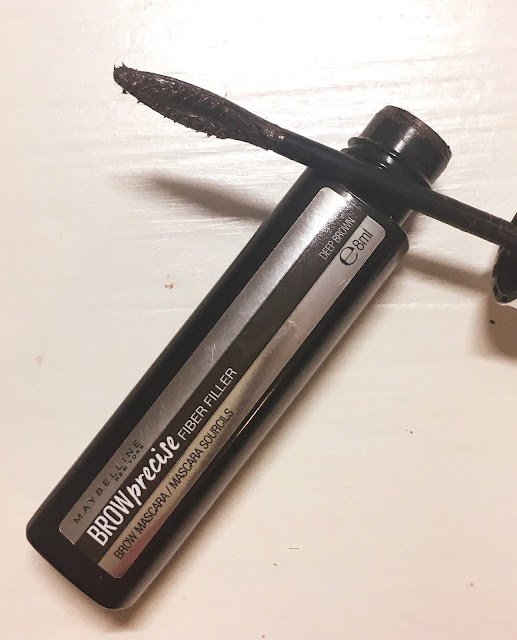 If you're on the market for a new brow product, give this one a whirl. I bought this mascara on a whim and when I opened it up at home I didn't think that I would like it. At all. 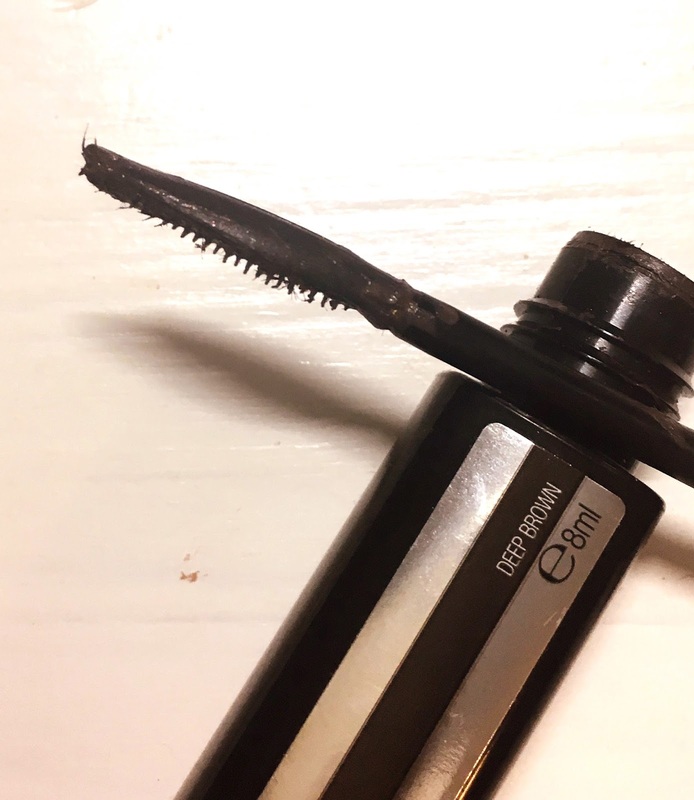 This is such a weird-looking mascara wand, but boy, does it work! Instead of normal bristles all the way round it basically only has a comb. I find that it combs through my lashes and separates them nicely. 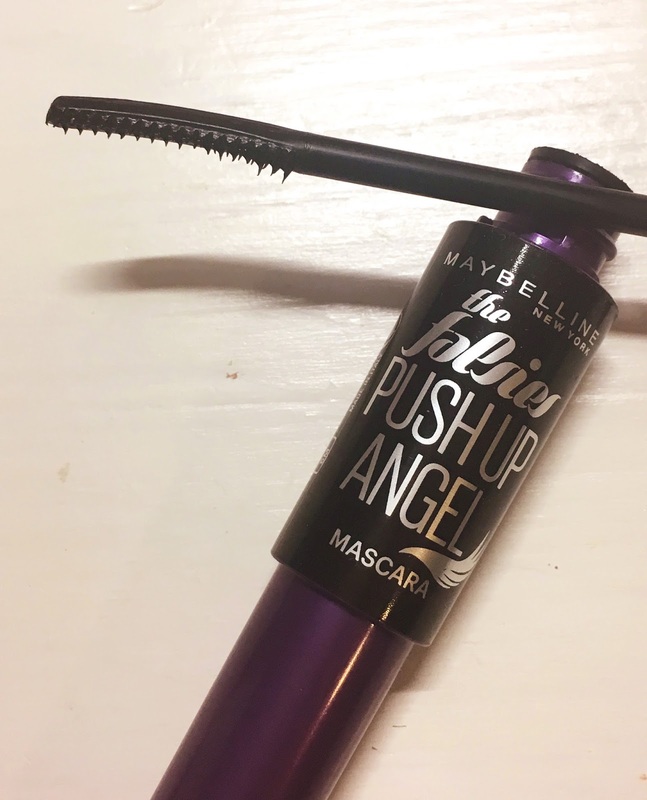 There's also no mascara rubbing off on my brow bone, which is always a bonus for me. And that's it from me in the favourites department! What were your favourites for July? Let me know in the comments section. Travel Post: One Night in Cullinan - What to do?